BOOK YOUR ROOM HERE, PAY AT CHECK-IN !! Our Inn is conveniently located in Palmyra, Pennsylvania minutes away from Hershey, Harrisburg and Lancaster destinations. Beautifully restored, the Inn provides casual elegance with a relaxing and welcoming atmosphere. Built in 1915, this 6000-square-foot historic gem showcases the warmth, elegance and charm of a bygone era with original wood trim, patterned hardwoods, high ceilings and lovely stained glass. Graced with a cascade of windows, the Manor, as we affectionately refer to it, offers generous warmth and character throughout, with casual elegance. Assistance with your plans to enjoy Hershey and the surrounding towns, cities and sites. 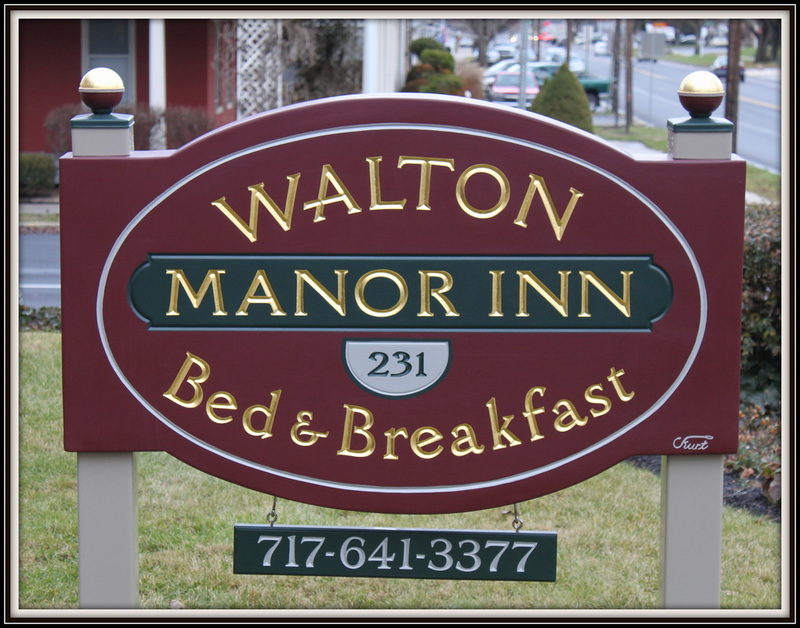 Walton Manor Inn is the ideal destination for romantic get-aways, girls' outings, guys' golf trips, business travelers to Central Pennsylvania, vistors to our many local colleges or medical centers or anyone desiring a serene and relaxing stay away from home.